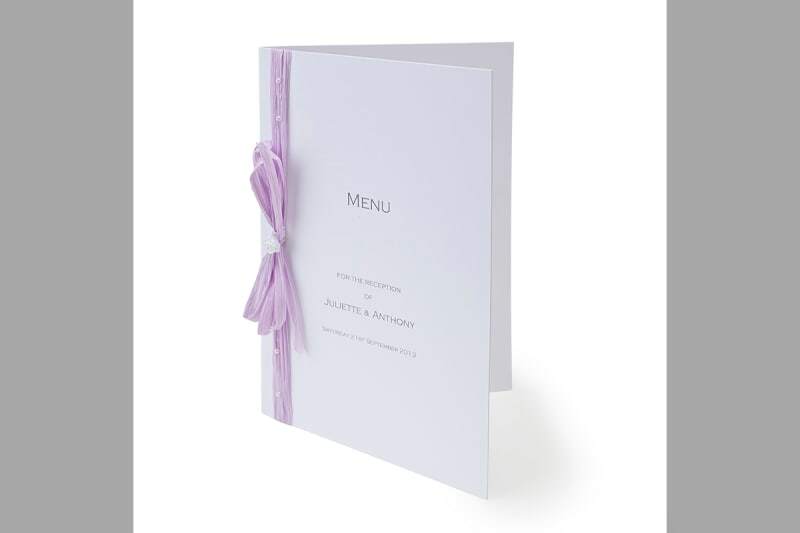 Menus have become a hot wedding topic. 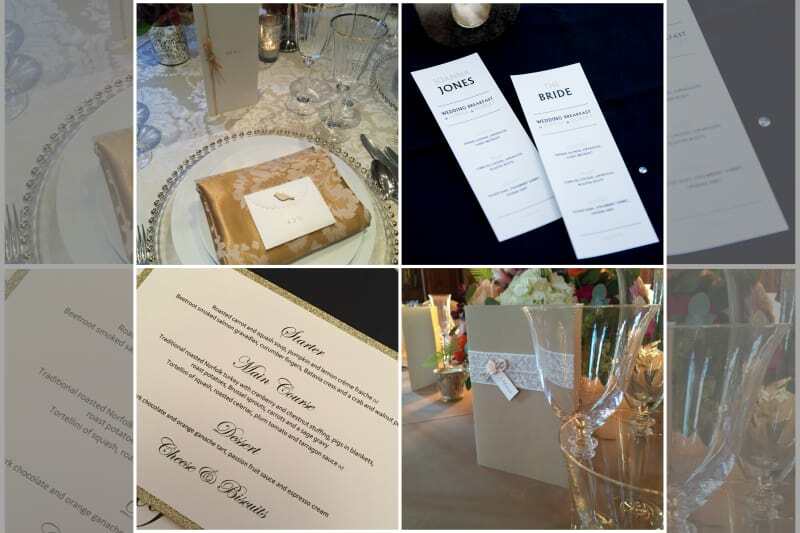 Traditionally each round table would have a couple of menu booklets, to be shared amongst seated guests. Today there are a number of fashionable alternatives, which surprisingly may even help trim your budget! Read on, to see which option best suits your special day. Booklets are classic, elegant and what you would expect in refined circles. Choose these if you like graceful tradition. As a general rule, provide two booklets for round tables of six-eight guests, stretching to three booklets for 10-12 guests if possible. Long tables need more, plan on one booklet for every third guest. Posters are a great way to make a statement and inject a bit of fun. Use for buffets, an outdoor reception or for less formal affairs. Judge quantities according to your number of guests and entrances to your dining area. You will need to place placards in visible locations; normally two-three prove sufficient and require easel display. Bookmark menus are all the rage. Create one menu per guest and tuck neatly within the serviette. 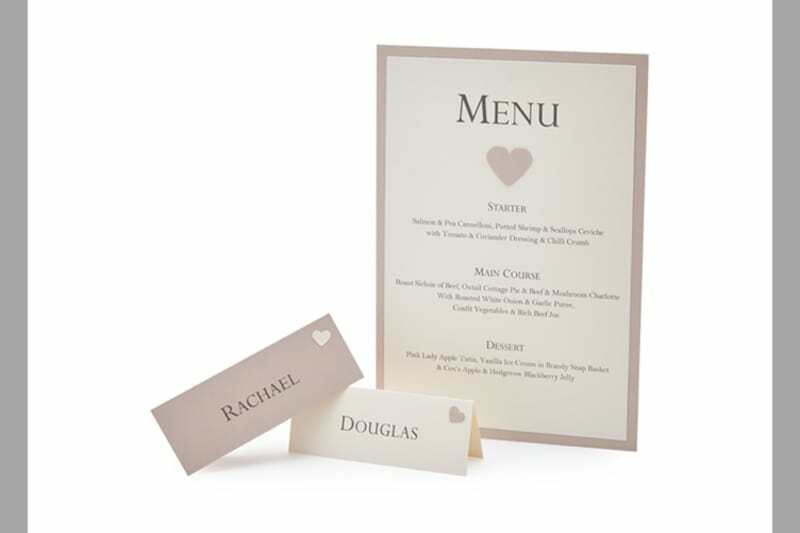 Personalise with their name at the top and it doubles as a place card. 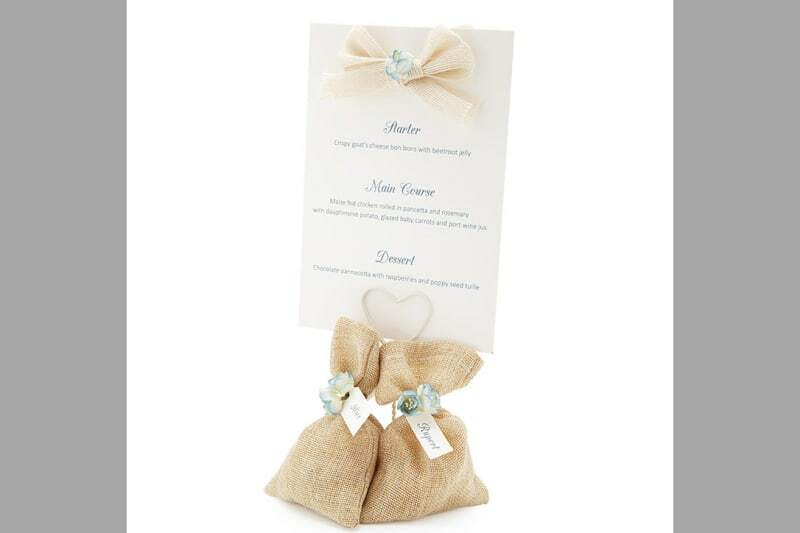 Not only do these make lovely mementos, they can be more cost-effective than menu booklets teamed with individual place cards. 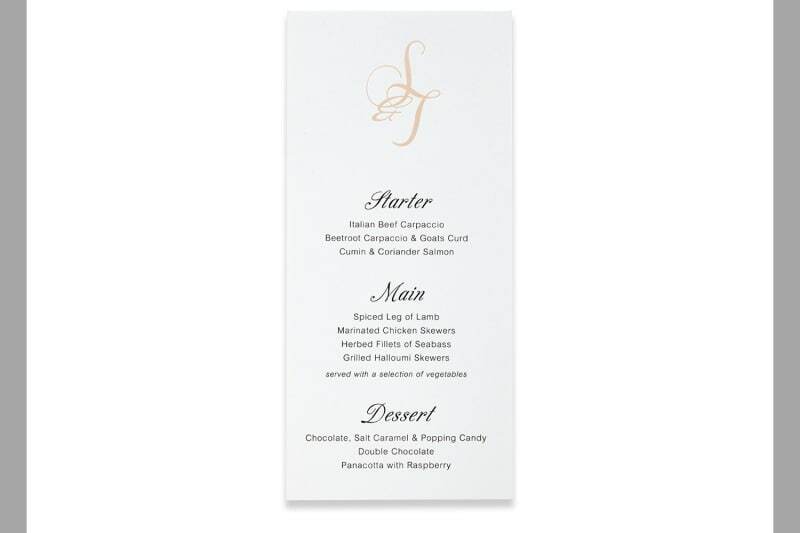 Create a feature on your tables with double-sided postcard menus, displayed in a clasped holder. Mount onto a glitter border to add a touch of luxe or sense of occasion. One or two per table is sufficient as guests can view easily from all sides. Trimming back? Choose postcard menus but put the table number/name on the reverse. Request smaller versions as less paper means lower prices. Or display a couple of 8×10 inch menus, in frames on the reception bar. You can still create impact with more limited funds, just think creatively! 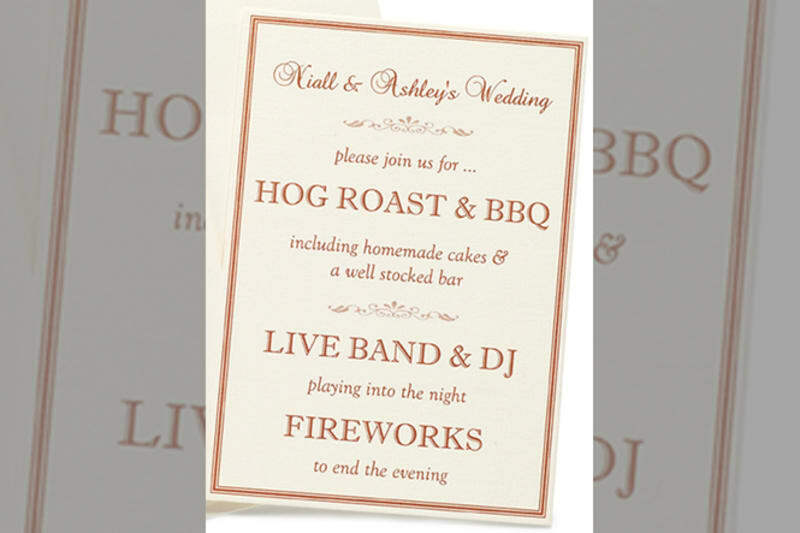 So as with all your wedding stationery, choose what you really love – then modify as closely as possible to fit within your budget. That way you retain your personality and stay true to your wedding style!